Welcome to Meet the Game Builder – CodeMonkey’s blog segment where students from all over the world share their experiences on what it’s like to build a game for the very first time on CodeMonkey. Today’s post features Fayue L., a ten-year-old student at Chao Chun Center Primary School in Shanghai, China. “I am 10 years-old, and my family and I live in Shanghai, China. We are big fans of Chinese acrobatics, bowl balancing is one of our favorites. I learned to code at a coding class in xSTEM EdFun, Shanghai. While I was thinking about what game I would create, I started to imagine what it would be like if I can get my monkey to do the same acrobatic balancing through the code I learned. During one of the xSTEM coding sessions, I discussed with my teachers, and they said it was a great idea and why not let’s try. After a few trial and errors, my monkey really did it. It was really exciting when I showed my classmates what my monkey could do. At xSTEM, my classmates and I enjoyed the CodeMonkey class a lot, and we had a lot of fun while using code to get our monkey to eat bananas. We first learned the CodeMonkey basic activities (Coding Adventure) and then we learned not only how to create shared challenges but also to design new games (Game Builder). I just learned to use Game Builder in CodeMonkey a week ago. Since then, I have created two games using what I have learned and there is one more still under creation. The first game I created only took me about 10 minutes to make the main function work. Then I worked with my teacher, where we debugged and tuned for cases I didn’t discover. It is really exciting to see a game created in such a short time. For more complex ones, it can take 30 minutes or more. Also, while creating the game, my classmates helped me come up with ideas and additional features to cover. I feel very excited and proud to discuss with my friends how to make my game better. Stop just playing games, let’s create one. 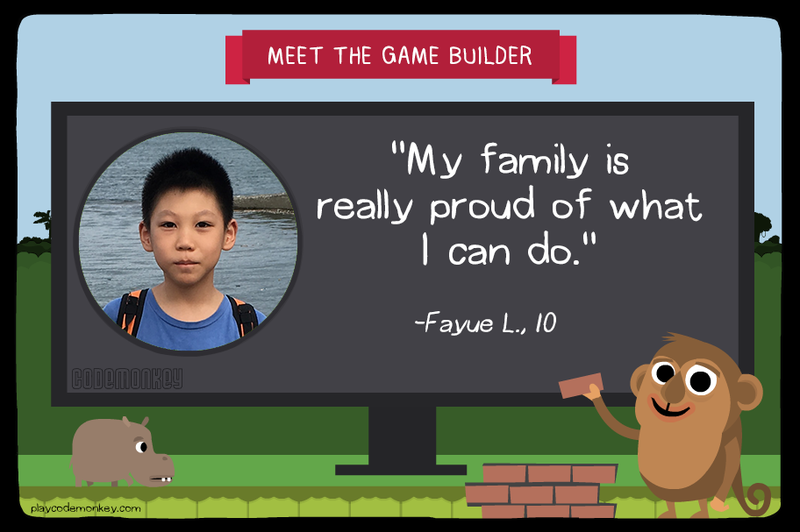 Click here to play Fayue’s Flying Banana Game! Fayue is a student at xSTEM facility in Shanghai, China. xSTEM is dedicated to partner with world kid coding leaders and to become the best CS-STEM activity center in China. 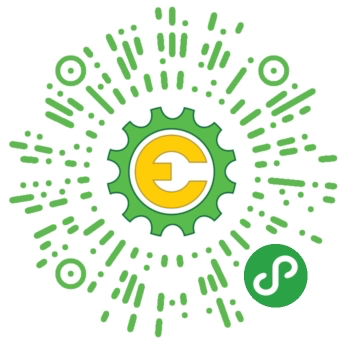 Chris Chen, founder of xSTEM, is former VP Engineering of Education Fist (EF Labs). At EF, he and his team built EF’s Efekta and global classroom core products globally. 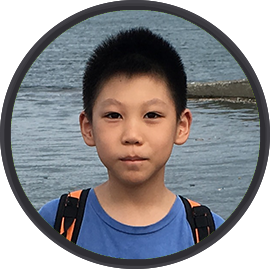 As a dedication into the front tier of education, Chris started xSTEM CodeFun studio about 2 years ago, and dedicated in prompting early coding activities for kids from 5 – 16 years old in Shanghai, China. xSTEM hosts hour of code activities weekly, and the CodeFun courses are very loved by students, and students even designed the T-shirts of CM to wear the love.